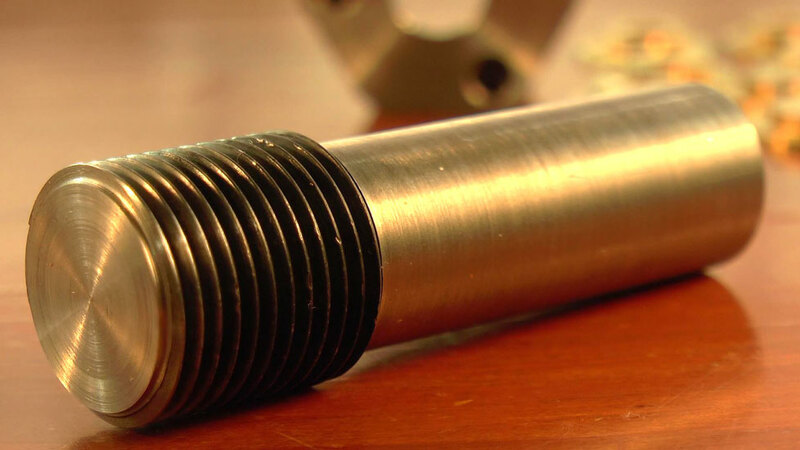 A common task in clockmaking, and home shop machining generally, is the shortening or modifying of an existing screw. 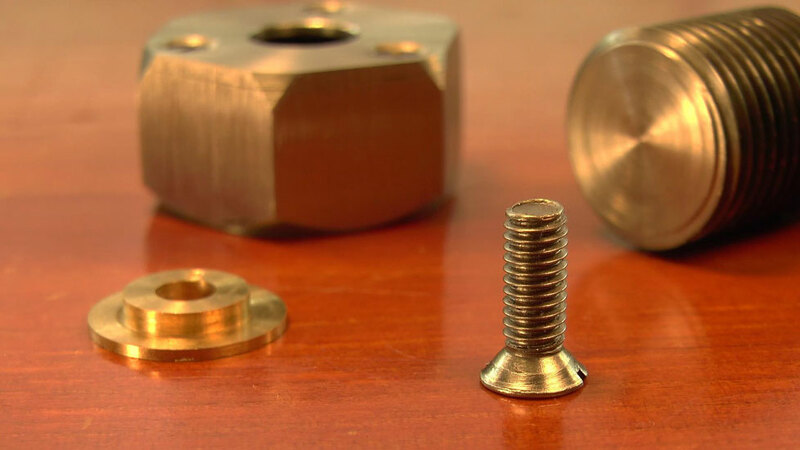 Often a stock screw just needs a little bit trimmed off, or perhaps it needs the rough end domed to permit it to screw into contact with another part without causing marring. If concentricity is not an issue, then a quick and effective way to do this is to simply slit a nut, and then use that as a thread gripper inside the jaws of a 3 jaw chuck. Light cuts are required to prevent the screw working it's way out, but it is an effective option. 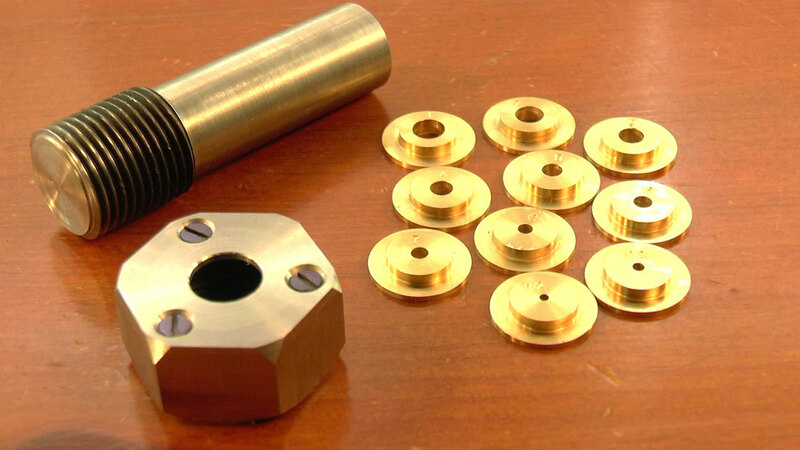 If concentricity is important, then a collet mounted lantern chuck, as commonly used by watchmakers, is the accepted best option. Somewhere in between is this really neat little idea from John Wilding. 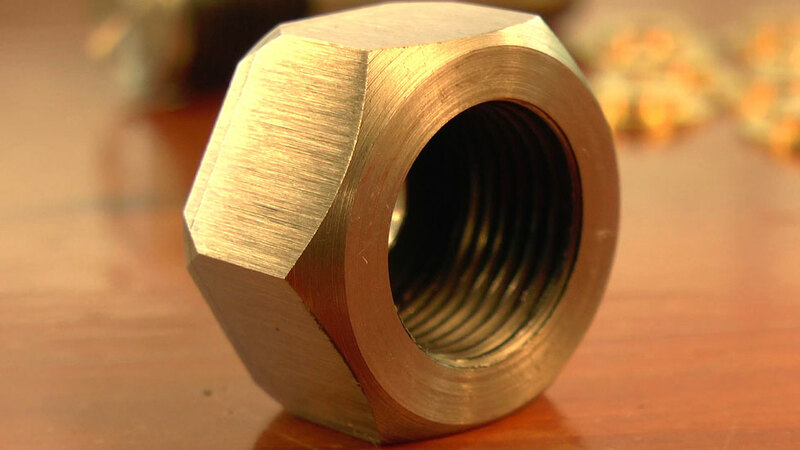 It is made from a common 3/4" mild steel bolt, and brass rod, and is detailed in his book "Using The Small Lathe". I made this one before I was making videos, so unfortunately I don't have any construction pictures to show you, however the process is well documented in his book. I drilled my collets to be slip fits with BA screw sizes 12 through to 2, since I use that screw form so often. 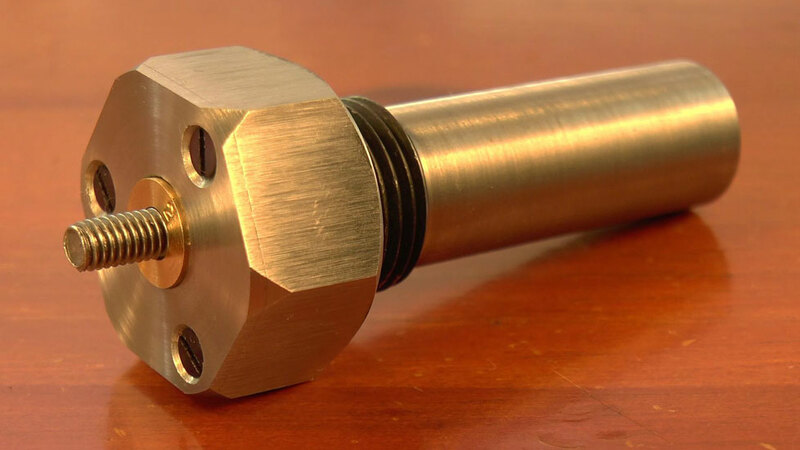 To use the tool, the appropriate collet is selected to be a clearance fit to the screw thread that is to be modified. 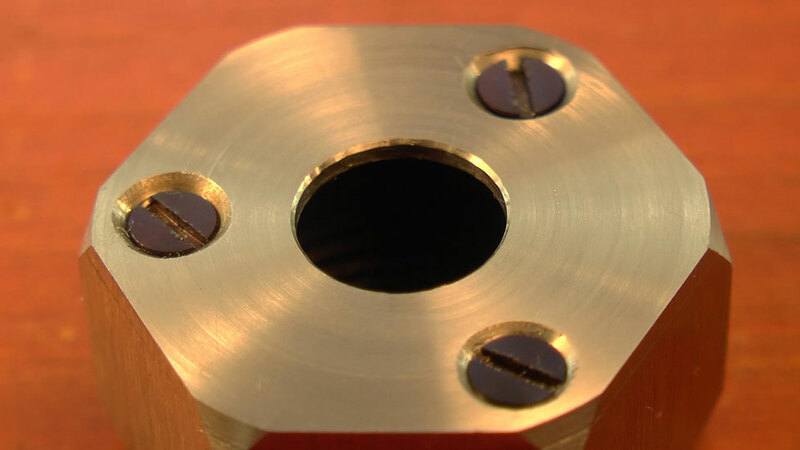 It is inserted into the cap hole, and then the screw is threaded through the collet hole. 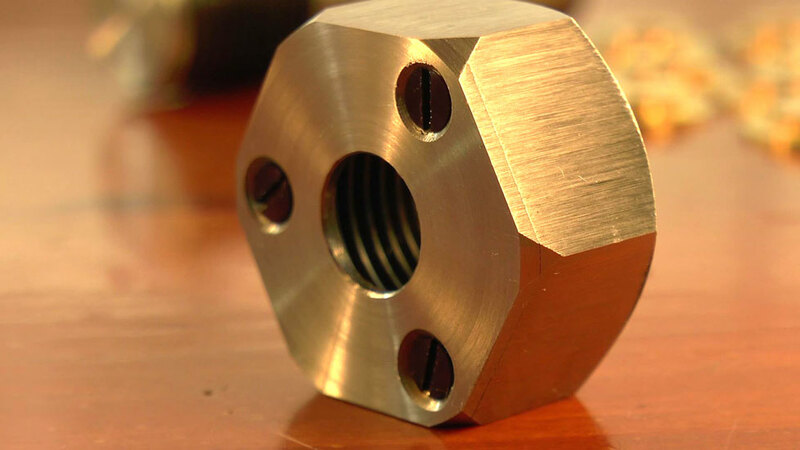 The nut is then tightened down on the body of the tool, and the whole thing loaded into a 3 jaw chuck, or ER collet chuck, for the turning operation. The fact that the collets are effectively centered by the bolt threads, means that the tool doesn't offer great concentricity. 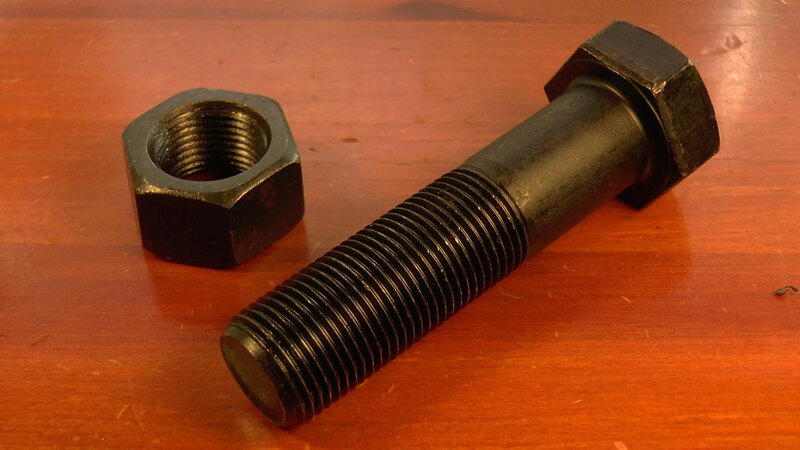 But then bearing in mind that the issue of concentricity is a complex one with screws anyway (given that the average mass produced hex screw is unlikely to have thread, head and shank on the same axis, or even a truly flat head), this tool covers off most needs. 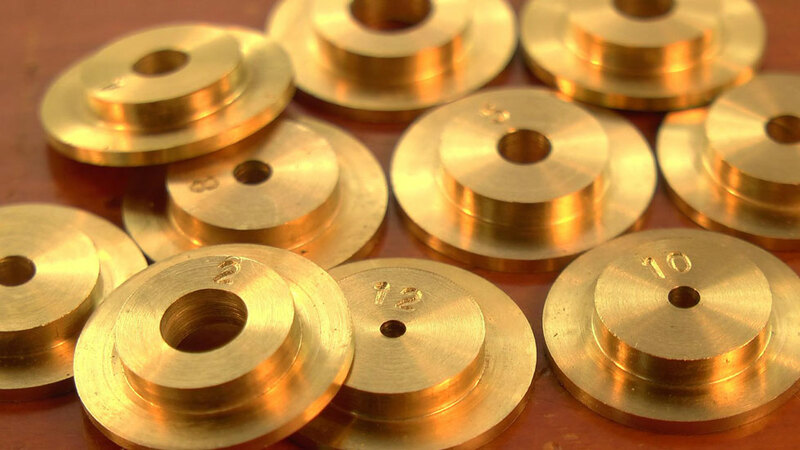 It is an excellent project for the mini-lathe, and I use mine at some point on virtually every project. ... so it is loaded into the tool for holding in a 3 jaw chuck.